Planned Giving is one more way you can secure quality programming at WUKY for generations to come, while creating a living legacy for yourself. For more information on planned giving please contact Gail Bennett (859-257-7049) or Tom Godell (859-257-3226). Gifts of appreciated securities, closely held stock and mutual funds can be extremely beneficial to both you and WUKY. These gifts can help you diversify your assets and minimize capital gains taxes. Contrary to popular belief, gifts of closely held stock can create the same tax benefits as shares that are publicly traded. Giving appreciated securities is a fast and easy way to make a gift to WUKY and get considerable tax benefits. It is almost always a better strategy to give appreciated securities directly to the radio station, rather than selling them and donating the proceeds of the sale. In fact, many donors find that the tax benefits associated with giving to WUKY actually allow them to increase the size of their gift. For instructions to make gifts of physical stock certificates, please contact Gail Bennett. Over the years, many individuals have given sculptures, paintings, book collections and other types of personal property to the University of Kentucky, UK's W.T. Young Library and the UK Art Museum would not have the quality collections they do if it were not for such gifts from many generous donors. Receiving a charitable deduction for a gift of this nature involves compliance with Internal Revenue Service regulations. We can assist you and your attorney or other professional adviser. Appreciated real estate may be one of the best gifts that can be made to WUKY. Often, however your return from the property is small and operating costs, such as taxes and maintenance, continue to rise. If you sell the appreciated real estate, you will have to pay capital gains tax on the appreciated amount, considerably reducing your net gain from the sale. If, however, you make a gift of the real estate to WUKY, you may be able to deduct the full market value of the property, including all appreciation. Please note that there are some legal requirements that you will need to meet in order to make a charitable gift of real estate. We will be happy to assist you and your attorney or other professional advisor to comply with these requirements. When you specify WUKY as the owner and beneficiary of a paid up policy, the charitable deduction is for the policy's cash surrender value or net premium paid on the policy, whichever is less. The University credits paid up policies at a value approximately equal to the cash surrender value of the policy. If the policy is not fully paid up, credit is equal to the cash surrender value and any subsequent premium payments made through the University during the pledge period. The University may elect to liquidate life insurance policies and evaluates each policy on a case by case basis. A life income gift allows you to make a significant gift to WUKY, while receiving an income for life. Benefits include state and federal tax deductions, increased income from low yield stock, and possible avoidance of the capital gain tax on gifts of long term appreciated property. You may also name a second income beneficiary, reduce or eliminate the estate tax on the assets given, and establish an endowed fund in perpetuity at WUKY in your name or in memory or honor of another. Charitable Remainder Trust – is a powerful tool for providing funds for you and/or your loved ones and making a generous gift to WUKY. It allows you to transfer assets into a separately managed trust that will provide you and/or your beneficiaries with payments for life or for a specific term of years. The payout rate of the trust may be jointly determined by you and WUKY. You may designate the use to which WUKY applies the remainder of the trust through an agreement with the University. Charitable Gift Annuities – is a mutual benefit agreement between WUKY and a donor. The donor makes a contribution in exchange for WUKY's promise to pay one or two annuitants a fixed income for life. The donor receives a tax deduction in the year of the gift for the amount calculated to be a gift and may contribute cash or securities to establish a gift annuity. Payments to beneficiaries are made quarterly for life and may begin immediately. Gift funds remaining after the death of the last annuitant will be used by WUKY for purposes specified by the donor. This gift planning vehicle allows you to shield more of your accumulated wealth from gift and estate taxes and make a current gift to WUKY. It is one of the most powerful estate planning techniques available today. Under this plan you would irrevocably transfer assets to a trustee and provide payments to be made to WUKY for a certain number of years. Then, the principal passes to your heirs at greatly reduced gift and estate tax rates and sometimes escapes them altogether. After providing for your loved ones, a provision in your will can designate a gift to WUKY. Knowing that your future gift will help WUKY's programming and/or technical needs can provide you with a great deal of satisfaction. Gifts through wills are popular because they are both easy to arrange and can be changed at any time. Charitable bequests can include cash, securities, real estate or other property. They may be identified specifically as a percentage of your entire estate or that part of your estate remaining after making specific bequests. 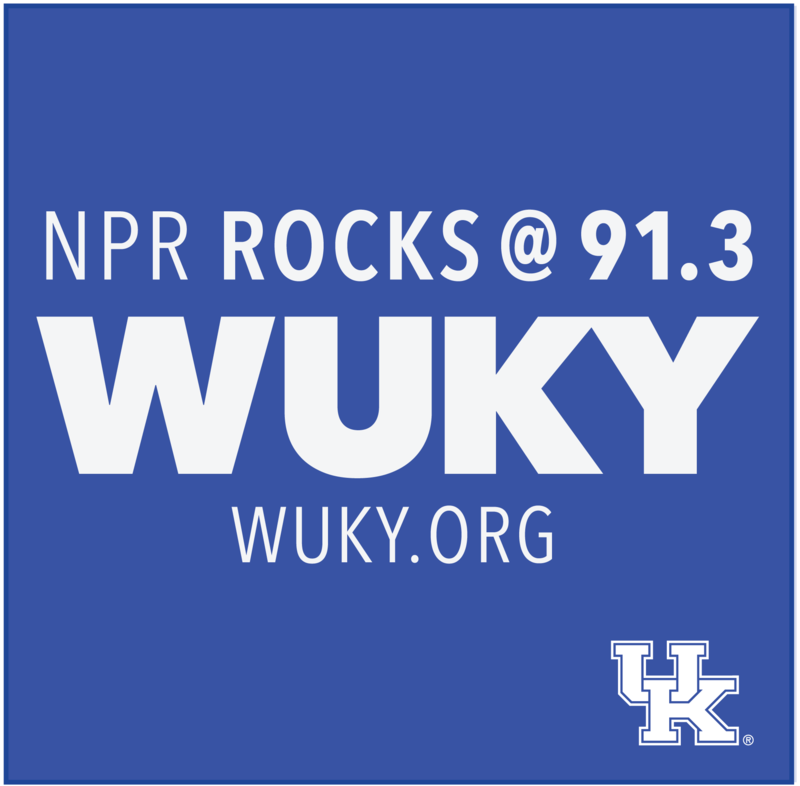 You can benefit WUKY and your estate by including the station in your will. You also will be eligible to be a member of the UK's Bequest Society. The Bequest Society began in 2001 and recognizes those who put in place estate plans that provide for a gift to UK through their will. Bequest Society members' planned bequests now exceed $17 million. An endowment enables you to leave a lasting legacy at WUKY. By working together, we can create a fund which supports your desires for your gift as well as the needs of WUKY. The principal remains intact, and with other contributions or some interest income, the fund grows while only a designated portion of the generated interest is allocated for spending. Minimum support levels for endowments ensure that the income from the endowment will always support the purpose of the fund. Endowments start at $25,000 for capitol projects, local news coverage, student internships and more. To learn more about endowments and how you can create a lasting gift in the college or program of your choice, please contact the Gail Bennett at (859) 257–7049.